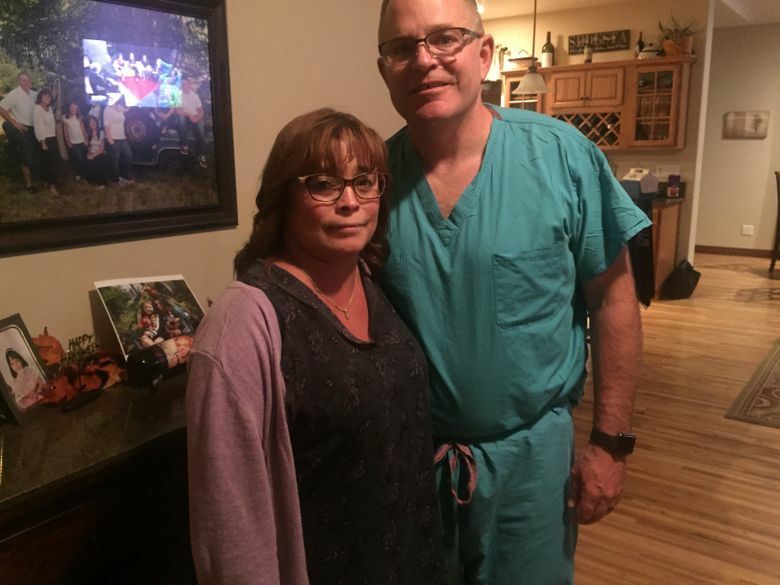 “This was the most devastating thing that I’ve ever seen," says Dr. James Sebesta, who has served in war zones and was enjoying a date night with his wife when a gunman opened fire on concertgoers. Dr. James Sebesta is a surgeon who retired last year from service at Madigan Army Medical Center after an Army career that included four deployments to combat zones in Iraq and Afghanistan. Sunday, he encountered some of the worst carnage of his career during what he called a “prolonged date night” as he attended the Route 91 Harvest Festival in Las Vegas. After surviving the onslaught of bullets unleashed in the worst mass shooting in modern U.S. history, he sent his wife away with friends to a safe place while he stayed behind to help the wounded. Lacking medical supplies or any of his surgical gear, he was forced to improvise, turning fence parts into makeshift gurneys as he joined dozens of others in the massive effort to rescue those injured in the gunfire. 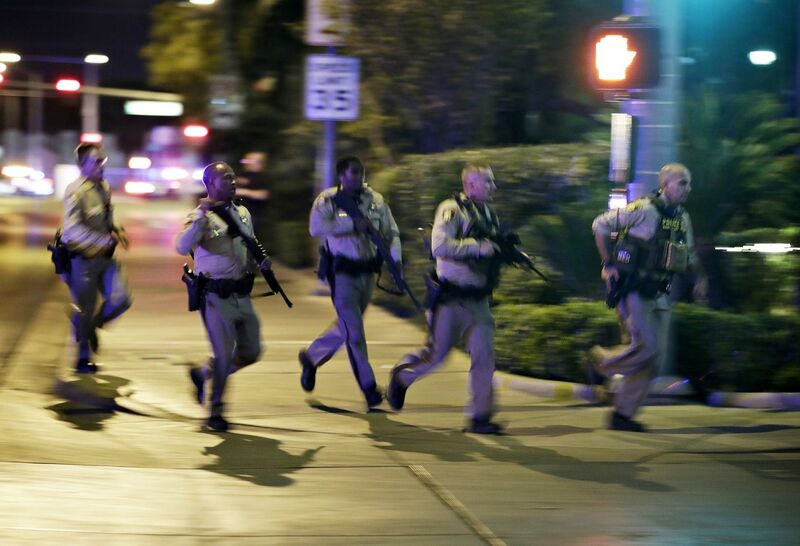 That night a gunman, Stephen Paddock, fatally shot 58 people at the festival from the Mandalay Bay Resort and Casino, and then shot himself. It became a mission to get people moved to where they could get help, handing the injured off to others, who drove them to hospitals in pickups because ambulances hadn’t arrived, Sebesta said earlier Wednesday during a news conference at the Tacoma facility where he works. Sebesta said he lost track of time but estimated he spent about an hour at the concert site, and said he had no way of knowing whether the gunfire would resume. In the interview at his home, Sebesta, a father of six, described a grim task of triage. He helped others with less medical training realize when someone was beyond saving, or dead, so attention could be focused on those who had a chance. He recalls one man, assisted by his son, who had a bullet wound in his back. He helped to carry the man off the field but doesn’t know if he survived. Another woman he came upon was grievously wounded, and he knew she could not be saved. So he moved on. “We went from person to person trying to get the people who were still alive out of there, and then went back after that and got some of the people who had expired, “ Sebesta recalled. Eventually, he reunited with his wife, Janelle, at their hotel after 3 a.m. Monday. He could not sleep as his wife’s phone kept “blowing up” with messages from family and friends. “I’ve been in the Army a long time. I’ve been to war four or five times … I’ve been in a lot of bad places during my career and seen lots of mass cal (casualty) things. But in the Army, we were ready for ’em. And the other thing is, there was a reason for it — I mean, it was war,” he said. But what Sebesta saw Sunday was among the most horrific scenes he’s ever witnessed. Sebesta was joined at the news conference by Stephen Williams, another local man who became fast friends with Sebesta when they met on Friday, the first night of the concert. At some point, the men became separated, and Williams teamed up with a group of firefighters. He was struck by the way one fire captain in particular was able to offer comfort and keep people calm. And while the concert field was filled with nurses, doctors, first responders and EMTs, there were plenty of people without any medical experience who also stayed to help, he said. Sebesta said he returned to work Wednesday, conducting three surgeries and assisting in another. He said that he found it helpful to get back to work to get his mind off what happened, and the recurrent flashes of gunfire from the hotel where the gunman was positioned. From his Army medical career, he knows plenty about post-traumatic stress disorder and has had his share of recurring dreams. Sebesta said he is taking things day by day, and hopes to heal. But he never had any doubt about his decision to stay behind that awful night.